Is the main protagonist of the Owari no Seraph series. He is a member of the Japanese Imperial Demon Army and Shinoa Hiragi's squad in the Moon Demon Company. 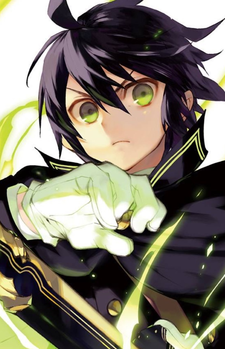 He, along with Mikaela Hyakuya, possesses the "Seraph" gene, which is relevant to the forbidden taboo and the focal point of the story, "Seraph of the End". Yuuichirou seems to be a excellent swordsman, as he was trained by Guren himself. This is shown when he killed a Horseman of John using only a sword. He is also a "seraph of the end" with 1/10th of him being not human; he may have been experimented on by the Hyakuya, but this is unclear since the adults in charge of him were killed minutes after he arrived at the orphanage.